The Financial Accounting Standards Board (FASB) and the international Accounting Standards Board (IASB) recently announced the release of new accounting standards that define how organizations must account for leases. The release of these new leasing standards is more than just an accounting change. It is an event that will have profound implications on lease/buy decisions, internal process coordination and financial reporting. Companies need to think about new processes, new systems, and new controls. Allow the close collaboration of information between the lease administrator, lease accountant and fixed asset accountant. Provide adequate controls to ensure accurate calculations. Automate the complicated financial postings that must be made to comply with the new standards. Provide a mechanism to calculate multiple GAAP versions from the same abstracted lease data. 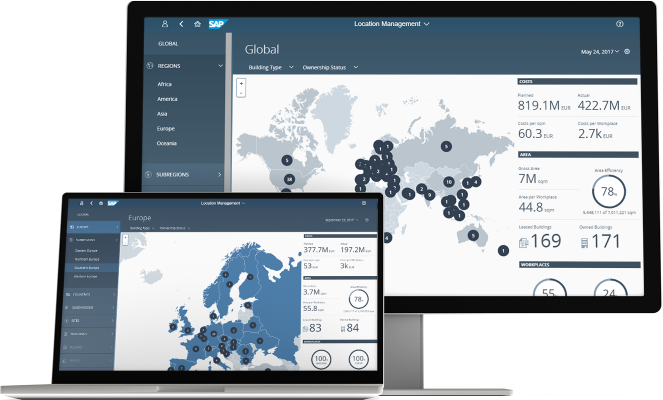 SAP Real Estate Management is a robust fully functional Real Estate Management Solution that provides accounting, administrative and reporting capabilities and is ASC 842 and IFRS 16 compliant. The lease transaction in SAP Real Estate Management provides separate authorizations to ensure a clear separation of duties for SOX Compliance and is fully integrated with SAP’s SSO. 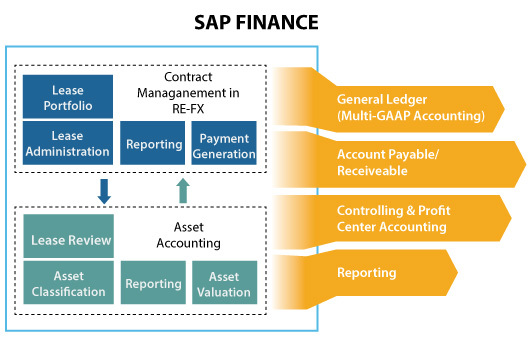 In addition to capturing contract terms and conditions, SAP Real Estate Management is specifically designed to support real estate leasing processes such as managing critical dates, exercising renewal options, early terminations, rent escalations, sales-based rent, common area maintenance and service charge settlement. Lease administrators can attach all leasing documents to the SAP Lease Contract as well as store notes and generated correspondence. The highly flexible and extendable forms collect industry- or business-specific attributes and enables users to stay ahead of the game. Periodic posting runs automatically generate all lease payments based on the terms of the current lease agreement with real-time integration into SAP Financials. SAP Cloud For Real Estate.